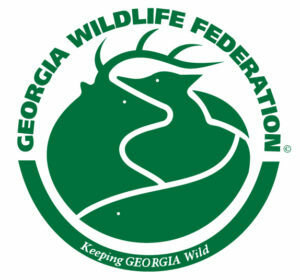 The Georgia Wildlife Federation’s work in advocacy, education, and conservation has shaped every aspect of Georgia’s diverse environmental landscape, from the mountains to the coast, since 1936. As the state’s oldest and largest member-supported conservation organization, the Georgia Wildlife Federation has built a reputation for conservation success equal to our experience. We do what is right because it is the right thing to do. With the hard work and support of our members, the Georgia Wildlife Federation does the most good in the most places, ensuring the legacy we leave to future generations is one of which we can all be proud. All members receive printed publications as available and monthly electronic newsletters and updates. Or, consider becoming a sustaining member by setting up monthly giving to GWF in any amount. Working for smart resource management as a leader of the Georgia Water Coalition. Organizing our members in the Camo Coalition to affect positive change for wildlife management while protecting our outdoor traditions. Serving as a watchdog for all outdoor enthusiasts during the Georgia General Assembly. Engaging families in positive outdoor experiences at Georgia’s Camp Charlie. Working to recruit, retain, and reactivate hunters and shooters through the Georgia R3 Initiative. Conserving wildlife habitat for the public to enjoy at Mill Creek Nature Center in Buford and the Alcovy Conservation Center and East End in Covington. Promoting ethical, responsible use of our wildlife through the Georgia Hunters for the Hungry and Ranger Hotline programs. Conserving over 7,000 acres in Georgia through conservation easements. Actively supporting Georgia’s State Wildlife Action Plan.